...is a trademark of Camus Computer Consulting, Inc. (est. 1993). As CCC looks for more ways to expand its market and increase revenue, we'll be testing the choppy waters of online retailing; the plan is to work with wholesalers on popular existing items while also developing and launching our own products under a number of different brands. 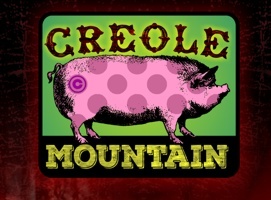 Creole Mountain was created as a Camus family venture to bridge the expanse of multiple generations while offering our younger counterparts invaluable experience as entrepreneurs. Our main goal is to find and resell and/or design and manufacture products that will provide value to the marketplace and, hopefully, gratification to our customers and clients (which has been CCC's objective since inception). While we understand that it is not possible to satisfy everyone, we will actively seek out niche markets that are lacking in overall quality and function and attempt to apply our own unique skill set to solve problems and improve upon existing concepts.